The home of beautiful natural sceneries and national parks, Costa Rica is a dream destination for travelers who love to hike, camp and backpack. 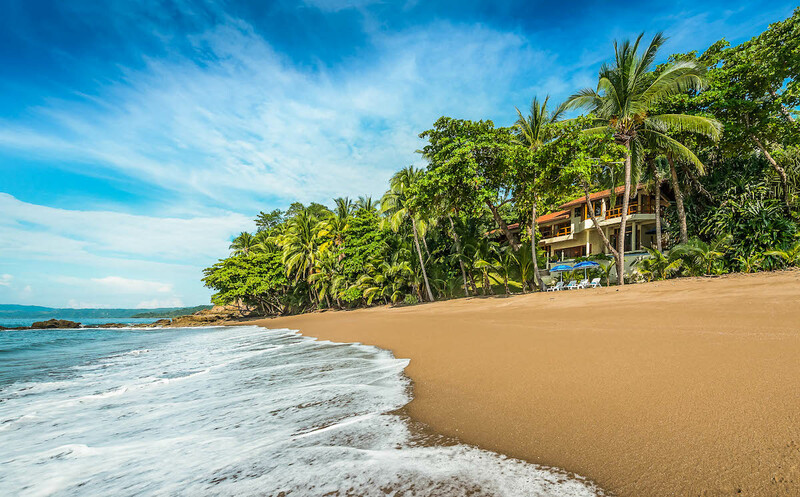 While affordable nature traveling is one of the country’s biggest selling points as a tourist destination, luxurious Costa Rica beach homes also attract the rich and famous. 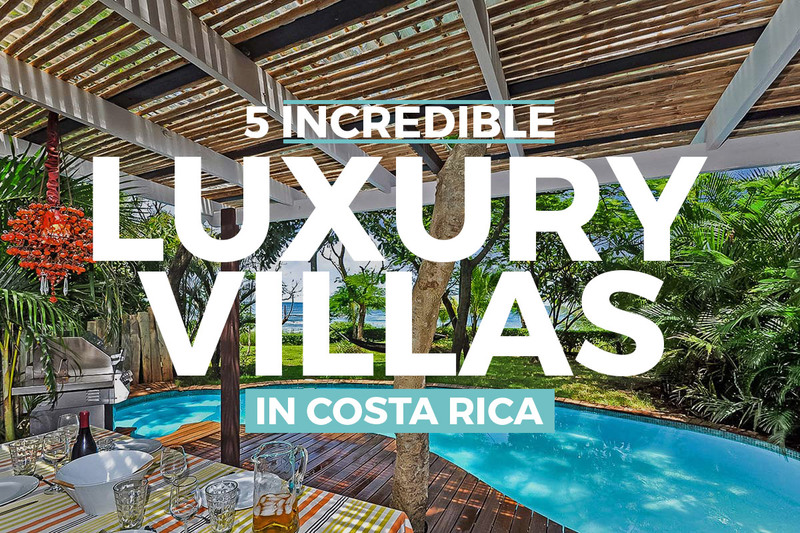 If you’re already planning your next summer destination and want to experience what it truly means to live your best life, here are 5 luxury villas in Costa Rica that will blow your mind. 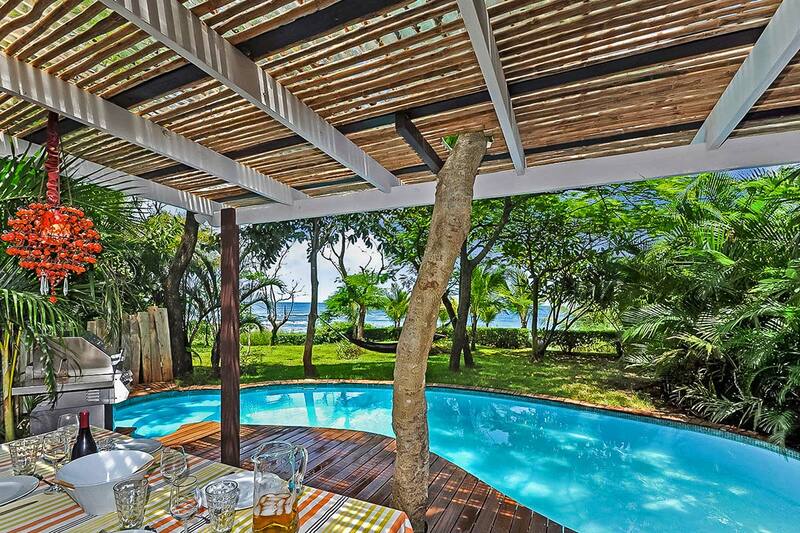 Penthouse Arena Blanca is in Playa Langosta, Tamarindo. In this town, you’ll find the Las Baulas National Park (turtle sightings), Playa Avellana (surfing), Marlin del Rey (sailing and snorkeling) and Playa Ventana (explore the caves). If you want to go to these destinations during your vacation in Costa Rica, then you should stay at Penthouse Arena Blanca. This property offers 3 bedrooms (two with King beds and one with two double beds) and three ensuite bathrooms with showers, perfect for a group getaway with your friends. The penthouse has a private hot tub and a shared pool. You can access the beach quite easily—just take the stairs near the outdoor living area. You’ll also find a grill in the backyard. Oh, and there’s an elevator inside the house. For a chill movie night, you can use the free Wi-Fi to stream your favorite films online. Have fun bonding with your friends at the open layout of the living and dining rooms, kitchen, and bar. 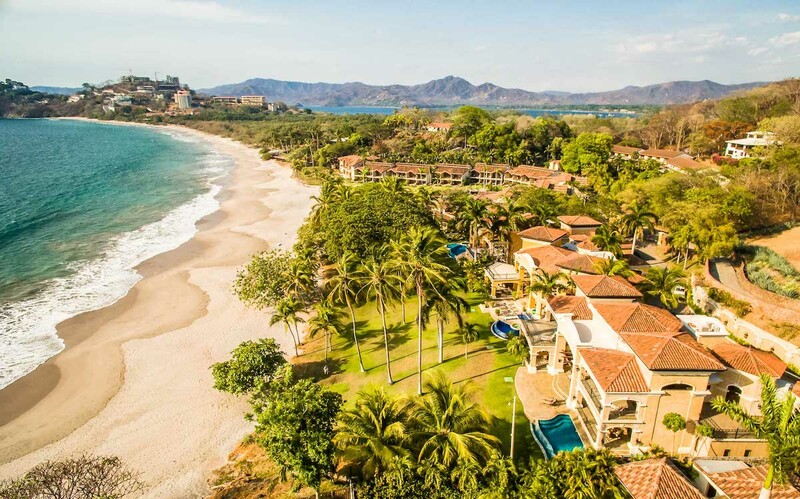 Plaza Tamarindo is only a mile away from the penthouse, while Hacienda Pinilla Golf Course is eleven miles away. To get to the airport, the drive will take about an hour. Villa Oceanis is a beachfront estate in Playa Junquillal, Santa Cruz. It is a secluded property surrounded by beautiful palm trees, giving you enough privacy, which makes it a perfect spot for a romantic getaway. It has two bedrooms and two ensuite bathrooms, so two couples can enjoy a vacation together here. The beach is only a few feet away from the house, and the pool also has a great view of the ocean. If you want a more adventurous day, however, you can use the snorkeling equipment provided by the villa. To enjoy the local scene, you can visit the town proper of Santa Cruz which is only a 45-minute drive away. Love golfing and tennis? The Pinilla Golf Course and a tennis court are 30 and 40 minutes away by car respectively. Meanwhile, you can reach the Liberia Airport in about an hour and a half. 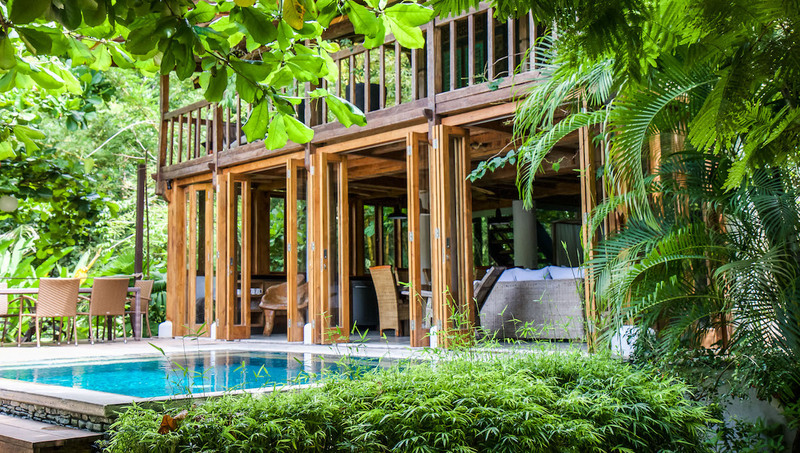 A natural sanctuary in the town of Santa Teresa, Casa Java is actually a 400-year-old mansion that was first built in the island of Java in Indonesia and was later on transported and restored in Costa Rica. The beautiful and interesting building is surrounded by greenery, providing you with enough privacy for when you want to lounge by the pool. The whole back wall of the house is covered in floor-to-ceiling accordion doors, so you can open it up entirely and make the outdoors part of the indoors. The property has 3 bedrooms, 3 ensuite baths (1 Super King bed, 1 King Bed and 2 Queen Beds). If you’re a larger group, you’ll be happy to know that you can rent this villa in conjunction with its sister properties, Casa Capitan and Casa Dewa so you and a big group of friends can enjoy a vacation together. Like the first two properties above, Casa Java also offers property-wide Wi-Fi. Casa Java is right by Santa Teresa’s North Playa, a white-sand beach where you can swim, surf and bathe in the sun. Downtown is only a 10-minute drive away, so you have easy access to local shops and restaurants. 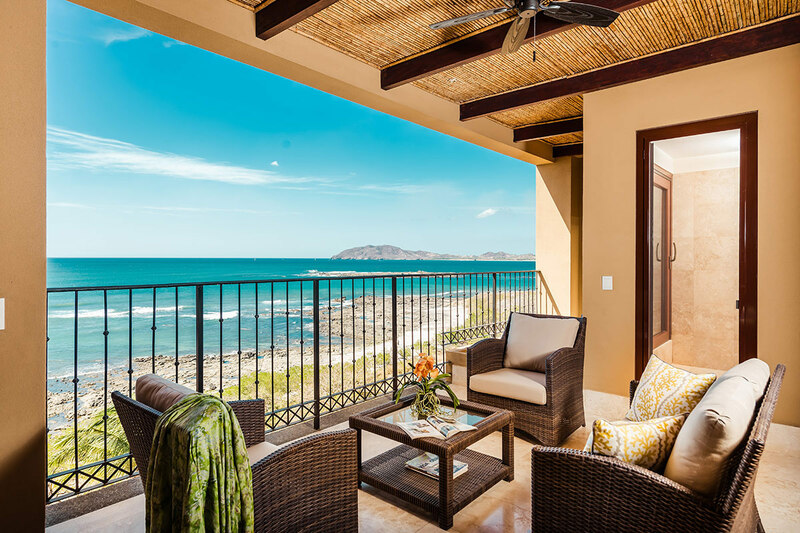 With six bedrooms and four en suite bathrooms (plus a half bathroom), Casa Oceano in Tango Mar is the perfect destination for a really big group of friends who want to have a private villa to themselves. The property is directly on the beach, and it also has an infinity pool where you can throw the sunset party of the century. If you want to elevate your Costa Rican vacation to a whole other level, you can also arrange for a concierge to plan your activities and excursions and hire a chef service to cook you delicious meals during your stay. There’s a home theater for when you want to have a movie night, Wi-Fi access for your social media updates, and walkie-talkies so you and your friends can stay in contact while you do different activities. Near the property, there’s a tennis court and a golf course. Meanwhile, the town proper is only 10 minutes away. Hacienda Paraiso, a huge estate in Playa Flamingo, is another great destination for big groups of people. The property offers four bedrooms—all King-sized beds—and four and a half bathrooms, with an alfresco dining set, a grill, a private hot tub, and a pool. If you stay at Hacienda Paraiso, housekeeping, 24-hour security, maintenance and luggage assistance are included. Concierge service is available at your request and can take care of everything from food, activities, excursions and more. Aside from swimming and lounging by the beach or the pool, you can also go to the Las Baulas National Park, where you can go turtle sighting and bird watching, visit the mangroves, and have a fun day at the coastline. Hacienda Paraiso is by Playa Flamingo but is also close to Playa Potrero. It is also close to the town proper of Tamarindo, where there are restaurants, shops, clubs and a vibrant nightlife. If a fun, luxurious summer vacation is what you’re looking for, this villa will surely make you feel like a Hollywood star.